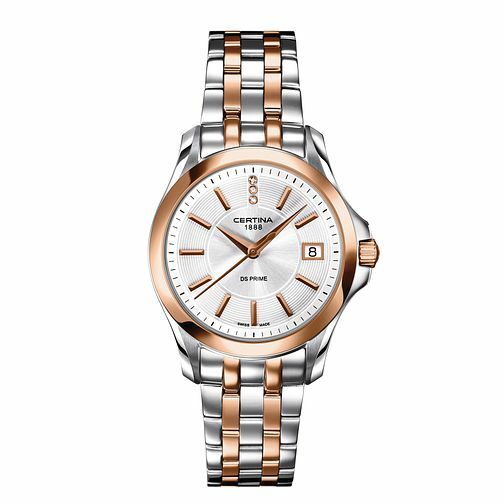 A sleek DS Prime Round two colour bracelet watch by Swiss watchmaker Certina, crafted in stainless steel & rose gold plate. A silver tone dial features: a date window at 3 o'clock with rose gold tone hour markers & hands with three subtle diamonds at 12 o'clock. Powered by quartz movement, this timepiece is perfect to wear both day and night.